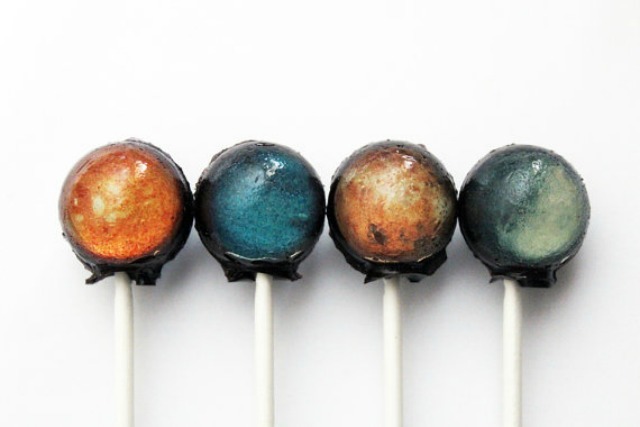 So someone, Vintage Confections to be exact, makes these planet lollipops by hand (bonus, the Sun and Pluto are also included). People are amazing. 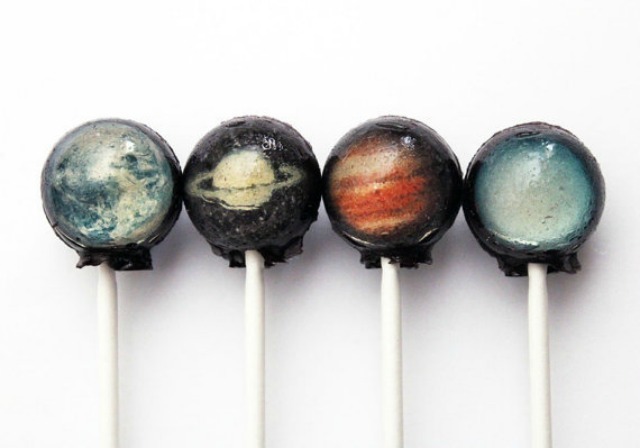 These are way too pretty to eat, though if I were still homeschooling Enzo I'd buy these in a second and do a whole unit on the Solar System. At the end of our unit we would binge on pretty lollipops.